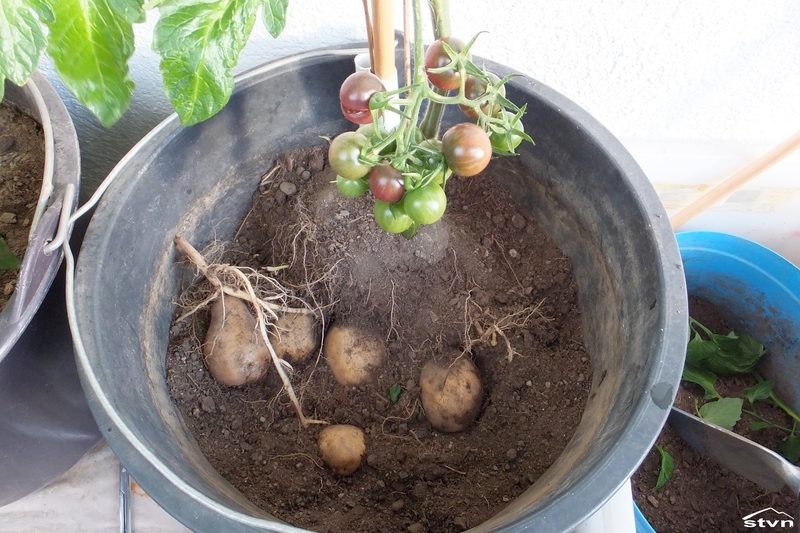 You save a lot of space, you can grow two crops in the space of one, I grew them in buckets in my balcony garden. 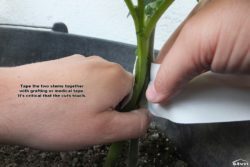 You save a lot of water, you only have to water a single plant, not two. 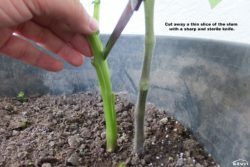 You save a lot of time and energy, you only have to care for one plant, not for two. 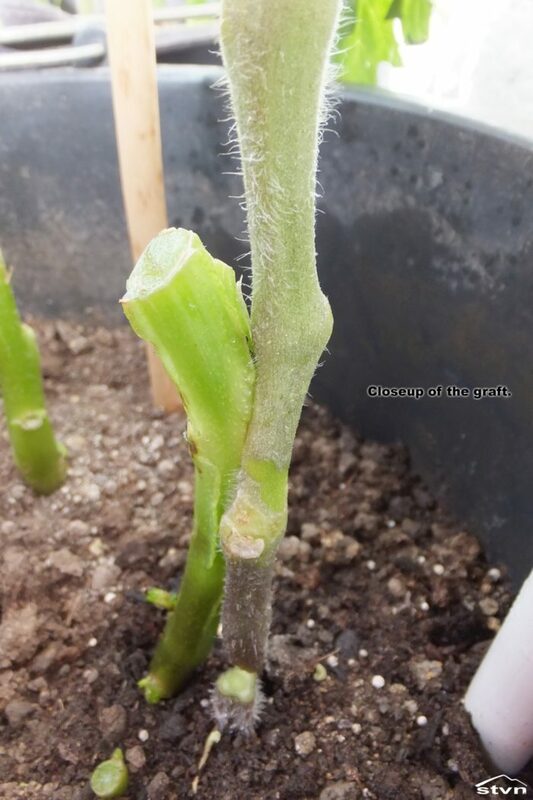 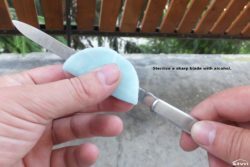 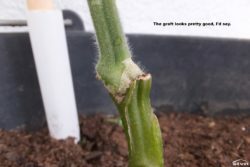 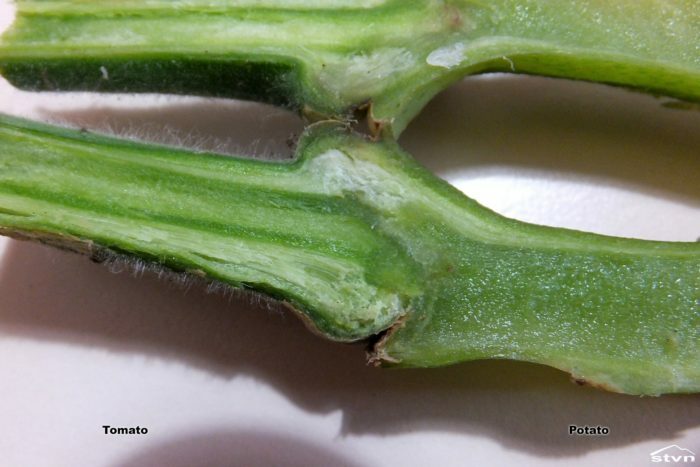 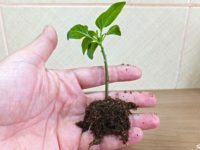 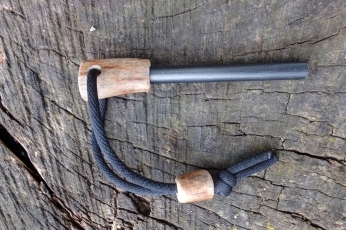 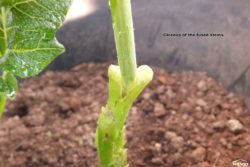 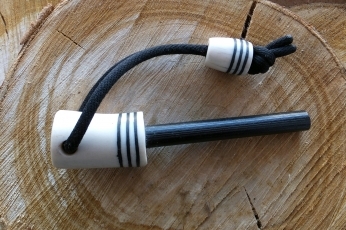 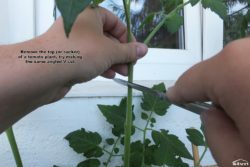 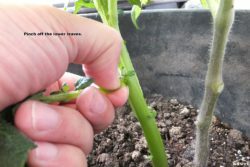 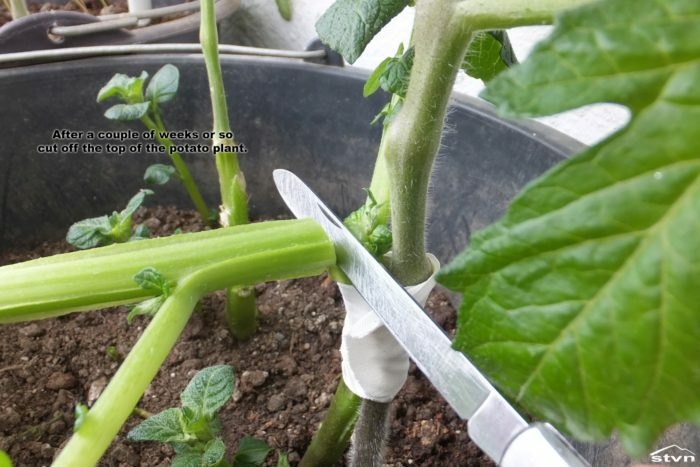 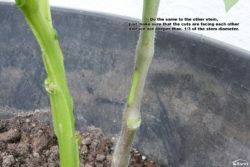 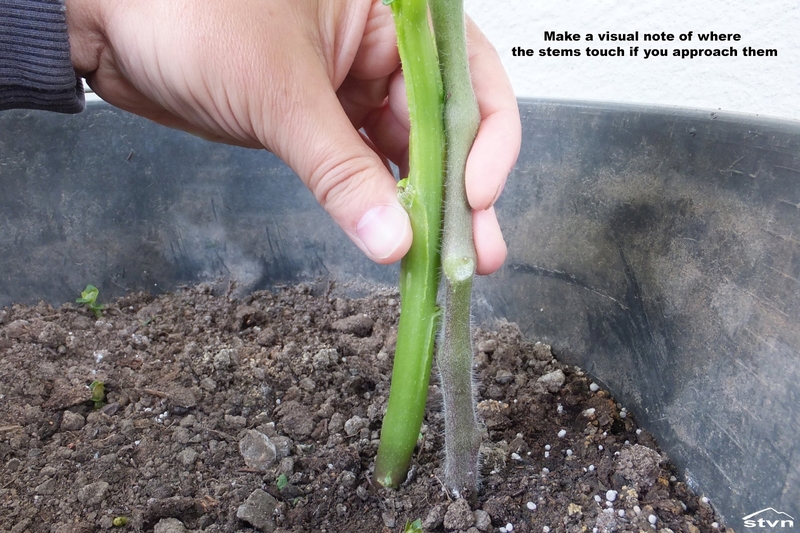 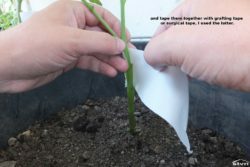 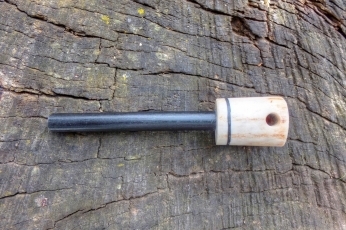 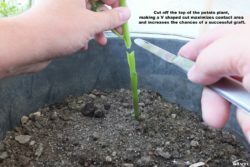 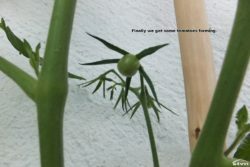 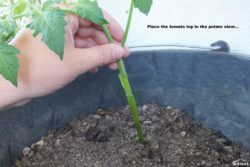 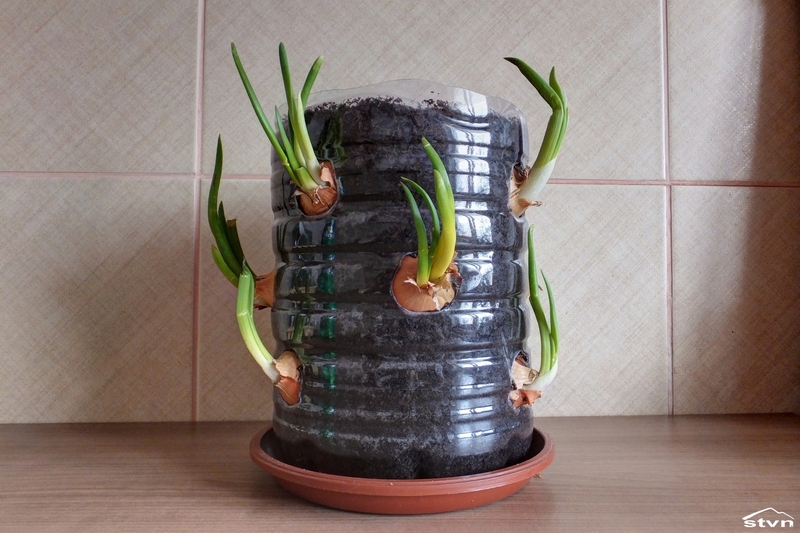 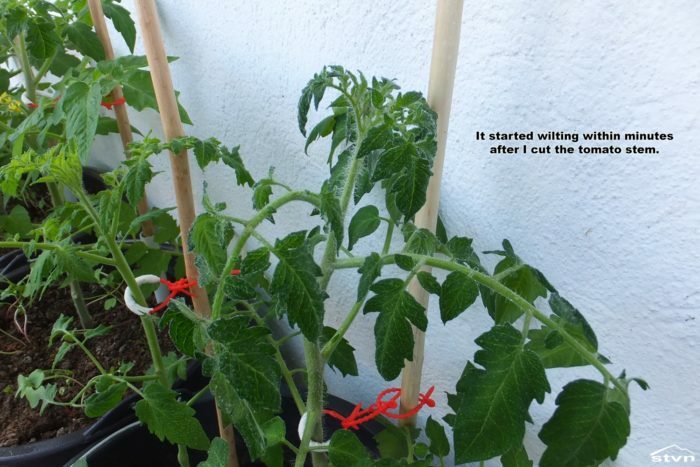 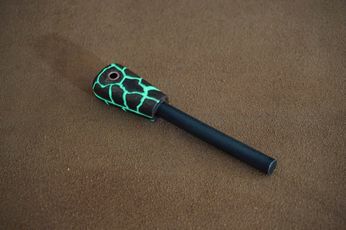 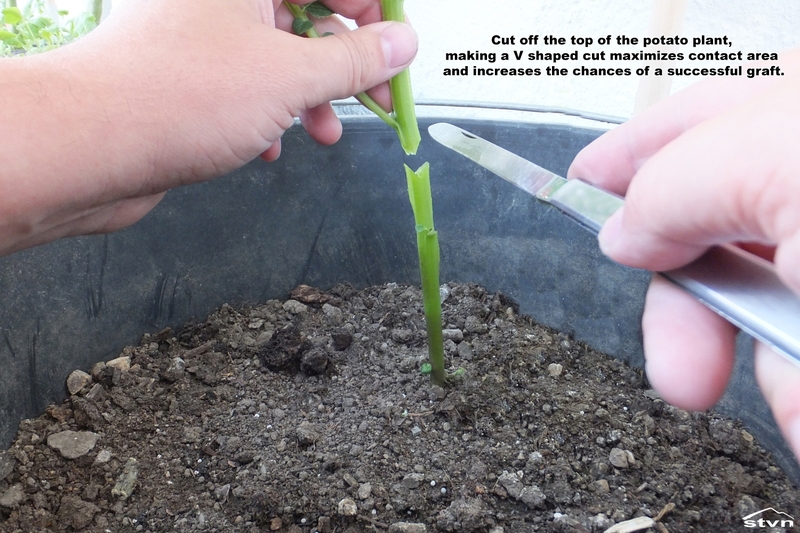 Once your plants’ stems reach the diameter of around 1cm or 0.4 inches take a sharp and sterile blade and cut off the top of both plants (or you can use a tomato sucker), it’s best to make a V shaped cut at the same angle on both plants. 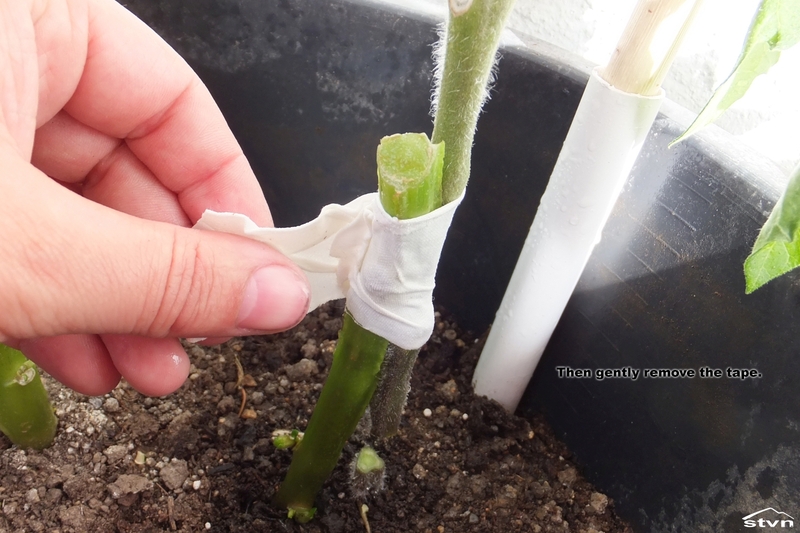 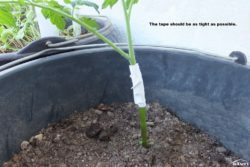 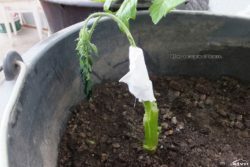 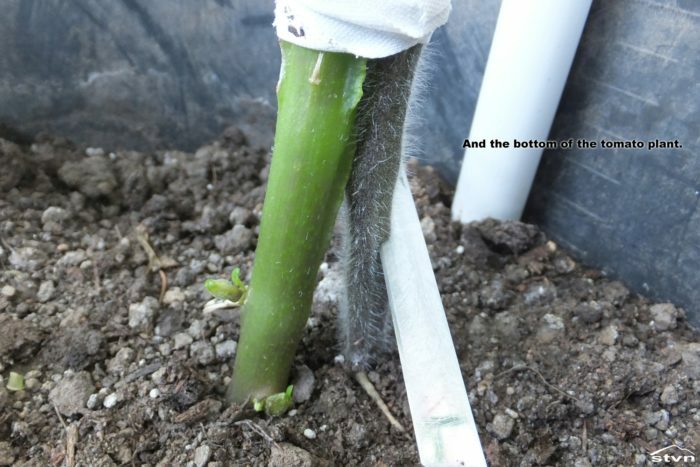 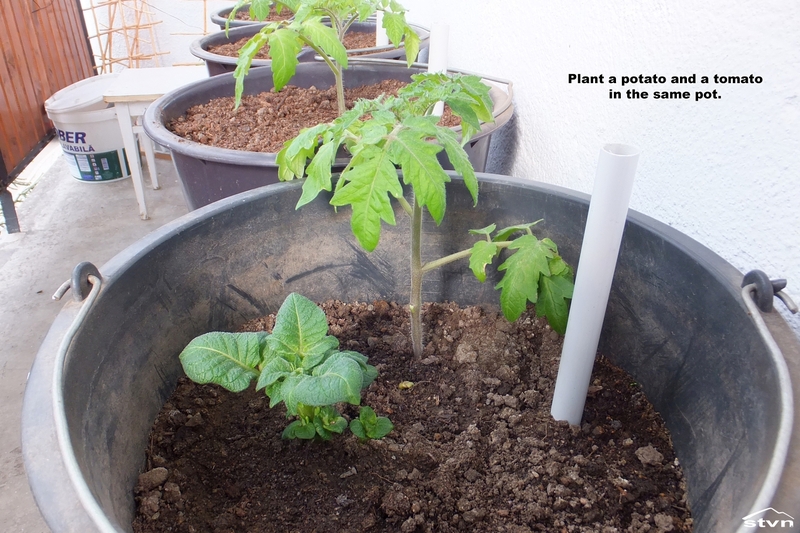 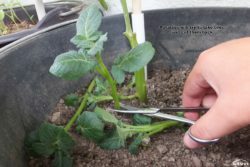 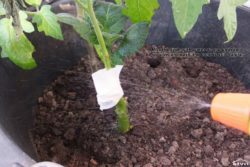 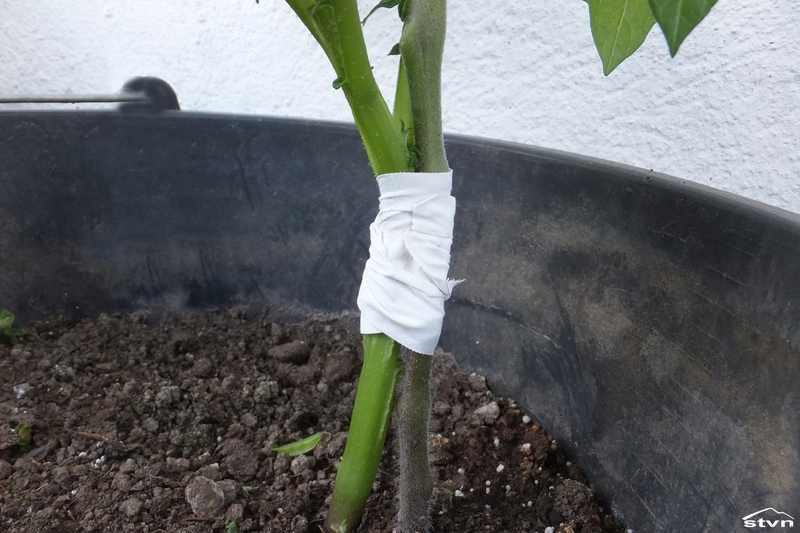 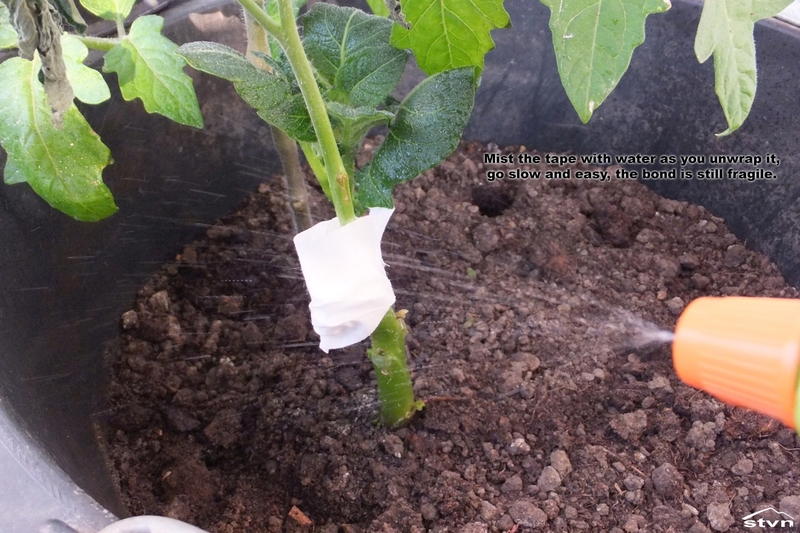 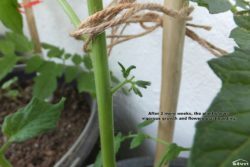 Toss away the top of the potato plant then place the tomato top in the V shaped cut you just made, push it in a bit then tape it in place with grafting or surgical tape (make it tight), and that’s about it for now. 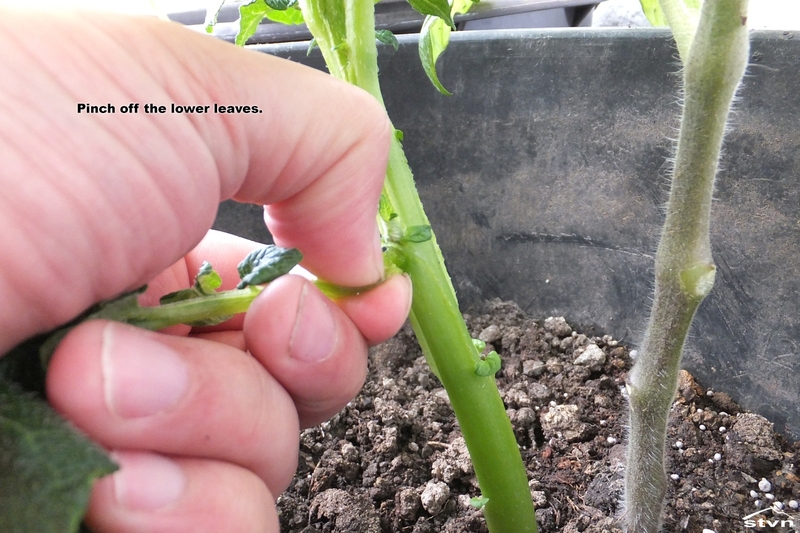 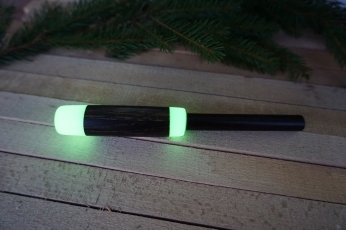 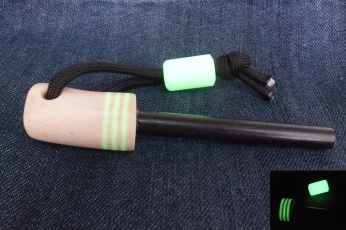 It’s best to do it early in the season when the plants’ stems are still soft, later they’ll start to lignify. 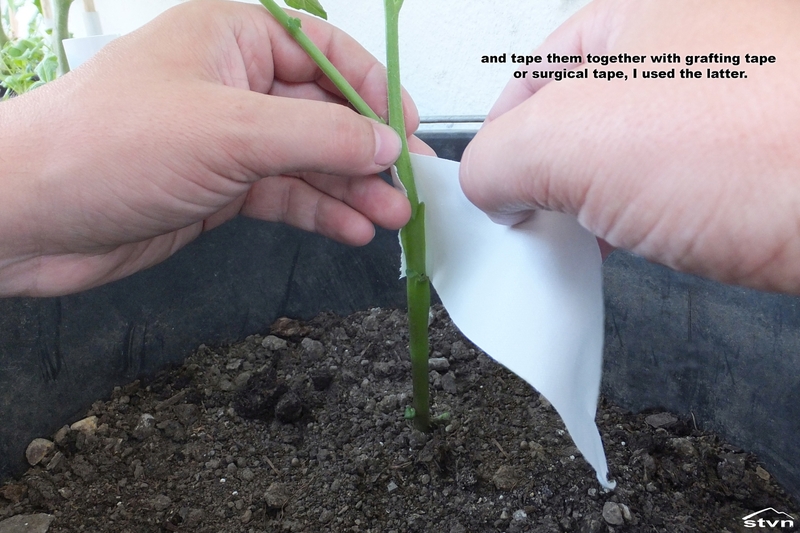 Make sure you got everything at hand when you start, you won’t have time to run to the store for medical tape. 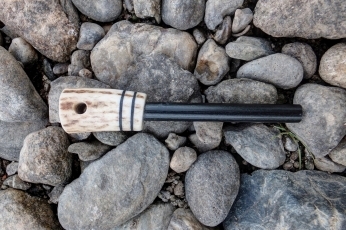 Make a V shaped cut to maximize contact area and increase the chances of a successful graft. Do not despair, the tomato part will wilt and look awful for awhile (even 2 weeks), just don’t mess with it, it needs time. After the “surgery” place the pant in a shaded area and occasionally mist with water, you need to keep the tomato part alive until the graft completes, this can take 2 weeks. 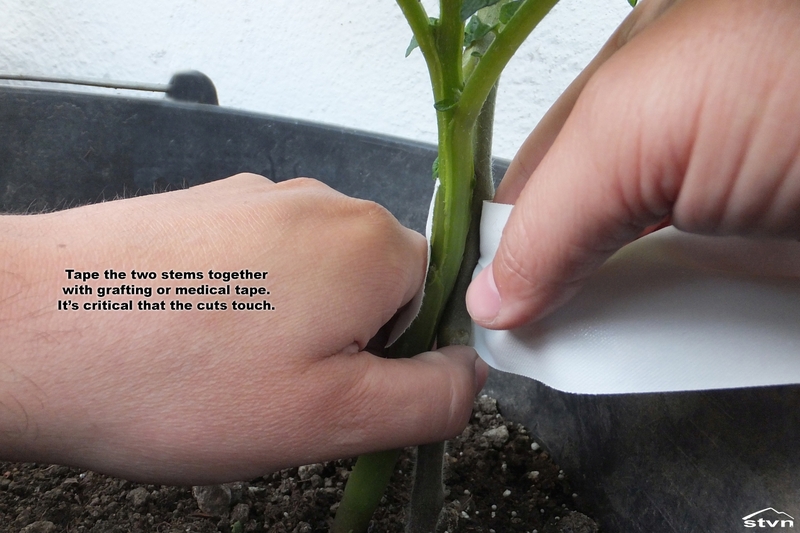 You also need to shelter your plant from high winds, you don’t want the stems to move while the bond is incomplete. 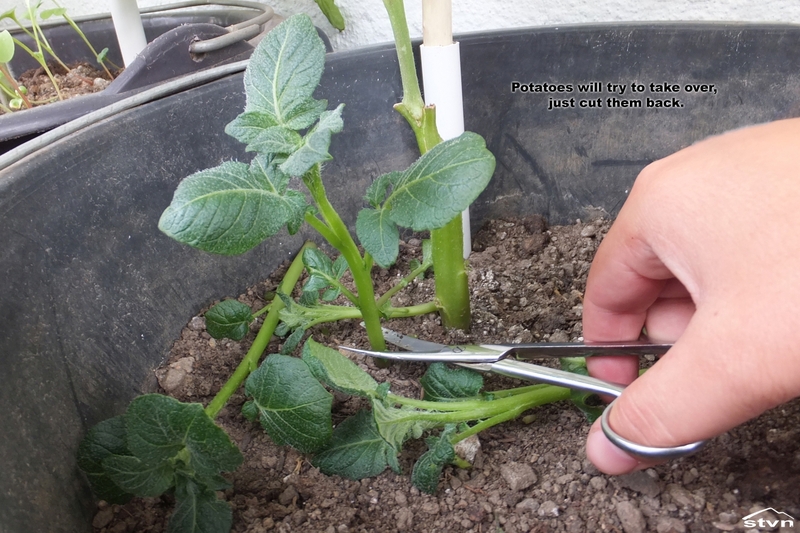 Potato shoots will keep popping up, just cut them back at ground level or they’ll soon take over. 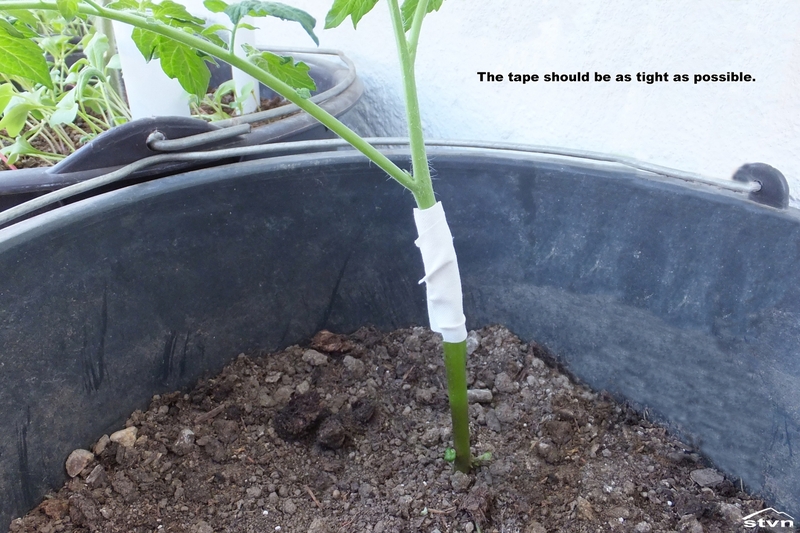 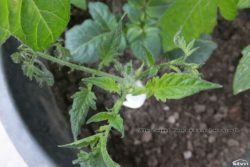 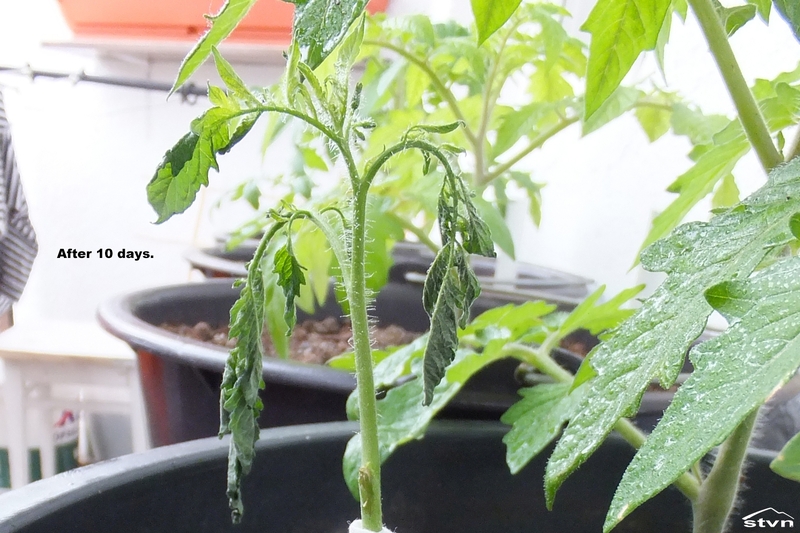 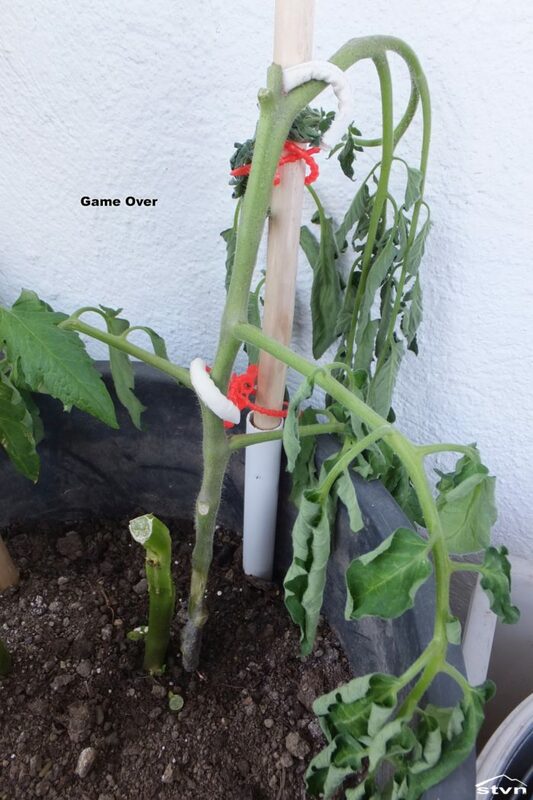 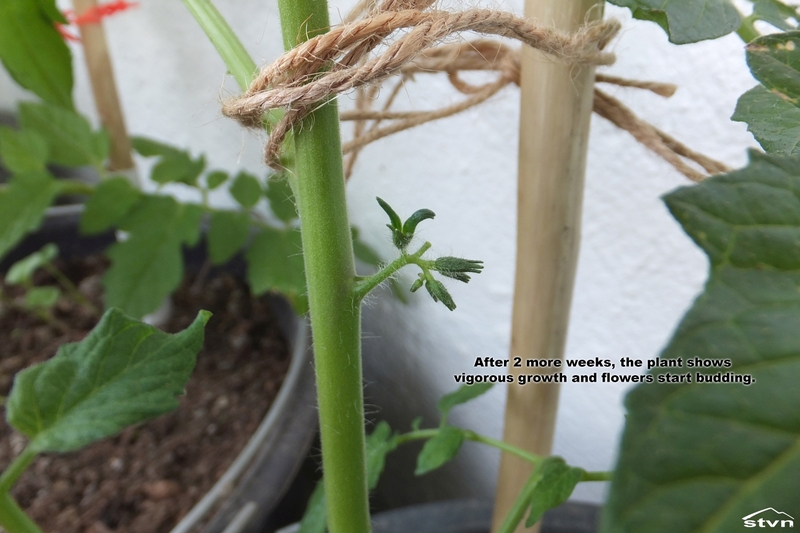 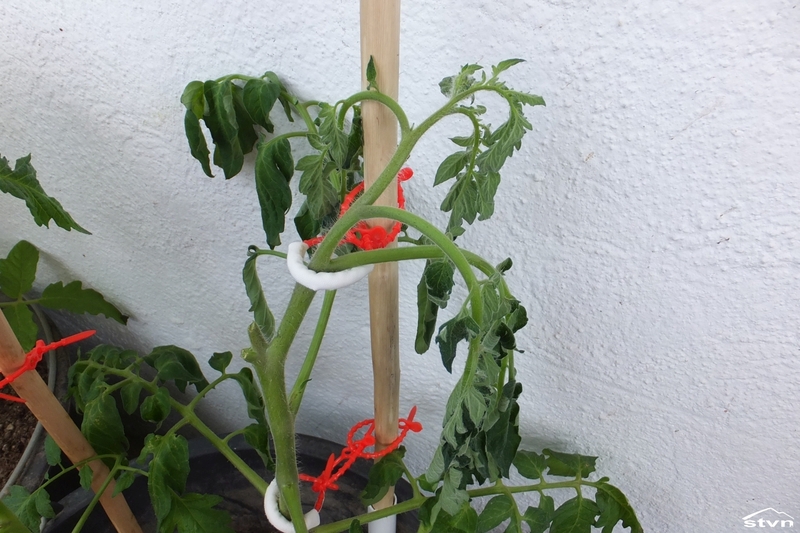 In about 10-14 days if the graft was successful you’ll see new growth on the tomato plant (small, light green leaves), leave the tape on for a few more days then carefully remove it. 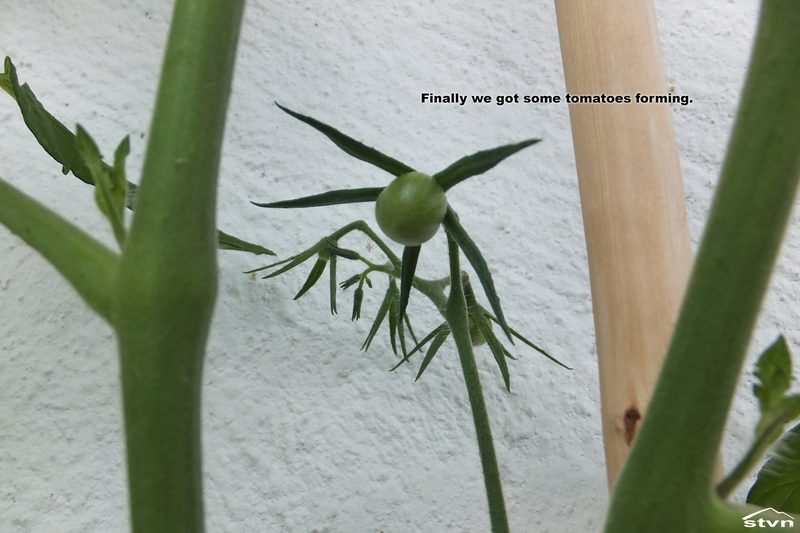 Congratulations you created your first F̶r̶a̶n̶k̶e̶n̶s̶t̶e̶i̶n Pomato. 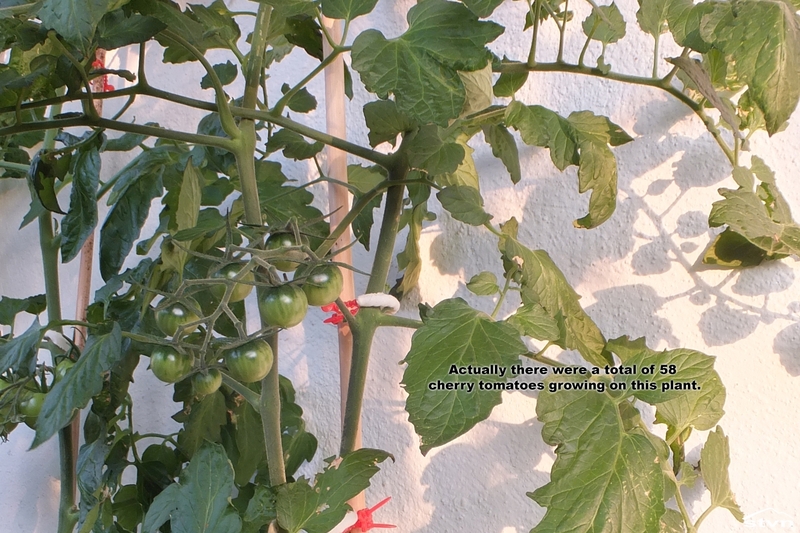 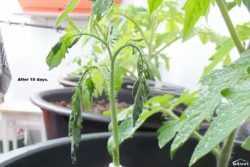 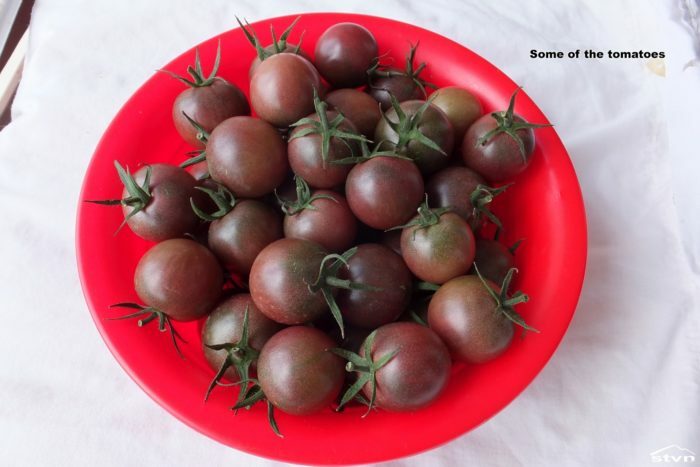 There is no special treatment required for pomato plants, as I know of, just water and feed regularly like you would with any other plant, I gave them the same amount and frequency of water as I did my tomatoes and they grew to maturity and put out fruits without any problems. Unfortunately my growing season was cut short by the weather, there were a few nights with below freezing temperatures in the forecast so I decided to harvest the pomato (also I was eager to find out what’s below ground), so: the final count was 58 tomatoes (not all of them ripened) and 9 usable potatoes, not much, but 58 tomatoes more than you usually get from a potato plant and 9 potatoes more than you usually get from a tomato plant. 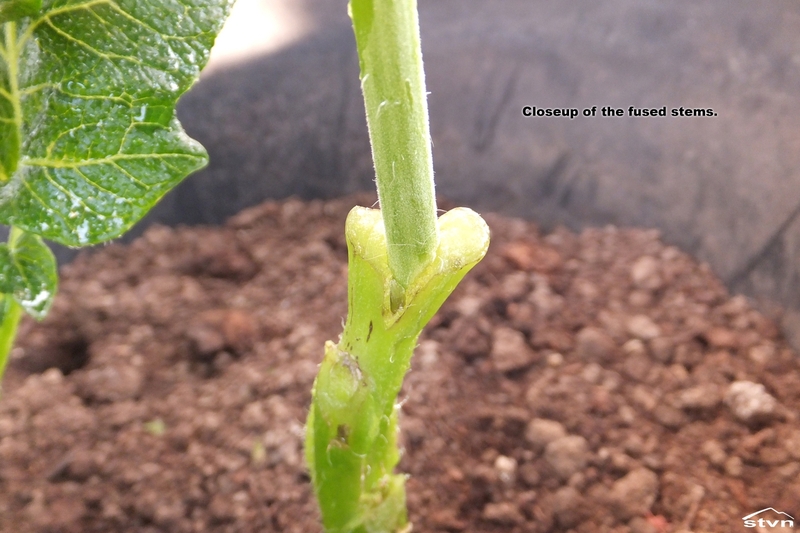 Two crops in the space of one. 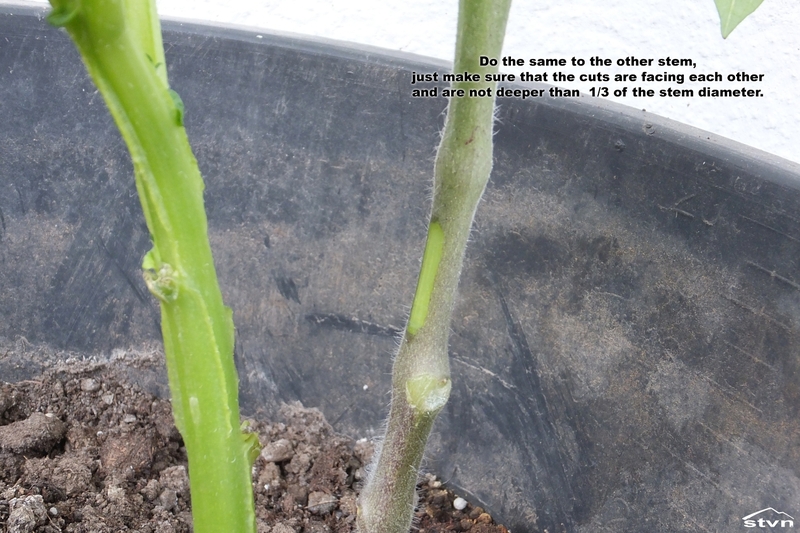 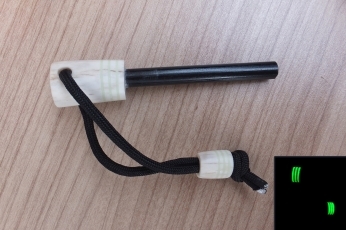 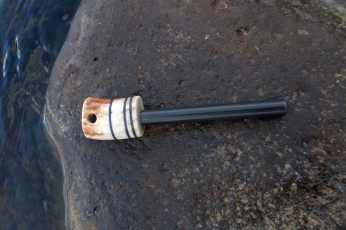 Or maybe the two weeks time wasn’t enough for the stems to fuse. 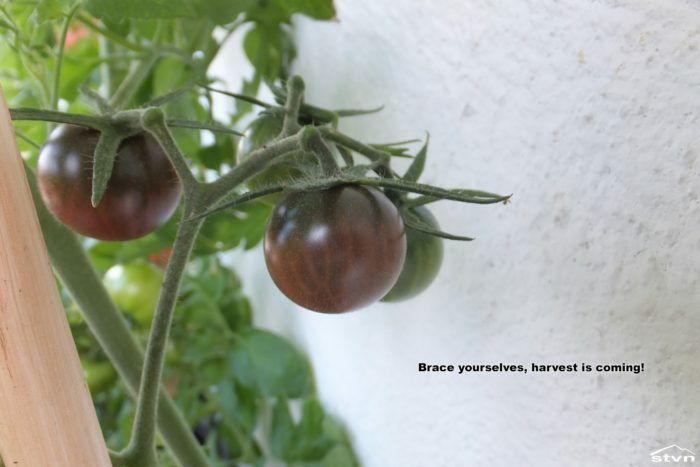 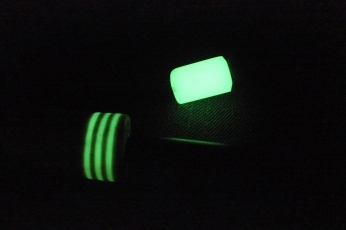 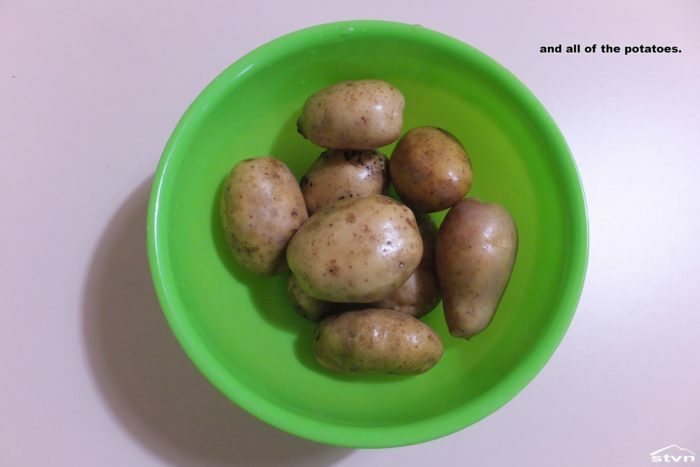 You may copy this article as long as you link back to this page (https://stvn.eu/growing-a-pomato-or-tomtato/) or the frontpage (https://stvn.eu).